The following is a collation of books that I have not had space to include over the last couple issues. I heard Charles Ryrie speak last month and purchased two of his books which I had read before. 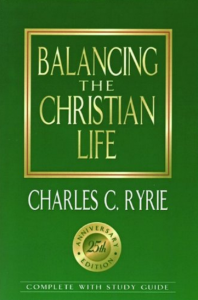 Balancing The Christian Life has been updated in 1994. The chapter on Lordship salvation is especially relevant and the chapter on Legalism is a message the Church needs to hear (you may be surprised at what he says). The Basis Of The Premillennial Faith is a 1953 book reprinted in 1989. It was Ryrie’s doctoral dissertation at Dallas Seminary. Of special note is its relevance to the current dispensational debate.